Chromebook ‘Atlas’ Breaks Cover In Leaked Bug Report Videos: Is This The Pixelbook 2? Well, it has now been just over a year since the Chromebook known as ‘Atlas’ emerged in the Chromium repository and quickly had us chomping at the bit for a successor to Google’s Pixelbook. Today, we have a few videos to share of the elusive would-be-Pixelbook but unfortunately, they leave us with more questions than answers. Shared by Kevin Tofel of About Chromebooks, the first two videos stem from a bug report in which the ‘Atlas’ device appears to be having issues with moving between the native display and an external 4K monitor. There isn’t much to be gleaned from these videos other than the fact that the now-private bug reports they were retrieved from reference the board name as ‘Atlas’. That adds a lot of confusion to who is actually behind this mysterious Chromebook. The video certainly doesn’t depict anything even remotely close to a product in Google’s hardware lineup. 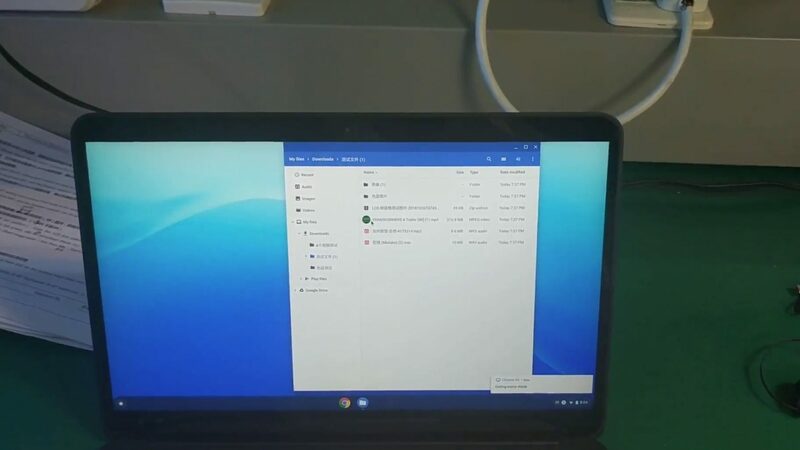 As a matter of fact, it looks more reminiscent of a first-generation Chromebook that was Frankenstiened together from leftover parts of Windows devices that the OEM has laying around. Already, many have jumped on the bandwagon that ‘Atlas’ is NOT the Google Pixelbook 2 and you know what, that may be true. However, there is still more evidence supporting a #madebygoogle device than there is against it. In fact, I would propose that these leaked videos lend more weight to that theory than they take away. In the name of thorougness, Robby dug a little deeper into the CR Bug tracker and unearthed another video of ‘Atlas’ from a completely separate thread and submitted from a different user. Take a look. The displays on these devices all look very much the same but if you look closely, the keyboards are clearly different with the third video having black keys. If these are both ‘Atlas’, why the different keyboards? Well, the simple answer is that they are developer devices. The Chromebooks could be the very first builds of ‘Atlas’ and as we have seen many times in the repositories, the first iteration of a machine can often use whatever parts are available at the time. OEM’s don’t focus on the finished product first. The development process goes through stages that, in infancy, focuses on adding the necessary support and dependencies for the specific motherboard. Often times, a devices board will be slapped into whatever chassis is laying around just so the developers can get it up and running. I know for a fact that a recent AMD Chromebook , that will remain nameless, was originally tested in the chassis from an Intel device. It’s just a cheap, easy way to get a device ready for the next phase of development. Then, there’s the odd logo that’s barely legible in the first video. Right above the keyboard deck, you can just make out the words “Product Name.” If I wanted to dogfood a device or give it to a developer for testing, what better way to prevent a lead from letting the cat out of the bag. Reports that Google is scaling back in the hardware department only tosses fuel on the fire that we won’t see another Pixelbook but until the team at Mountain View flat out confirms it, I’m not convinced Google is out of the Chrome OS game. Any way you slice it, the Chromebook ‘Atlas’ looks to be getting some fine-tuning and that’s a good indicator that it will finally emerge from the shadows and we can toss our conjecture and opinions aside and applaud yet-another flagship Chrome OS device coming to market. My money is still on Google but if I’m wrong, I’m wrong. It’s still a Chromebook and that works for me. Note: All three of the bug reports containing the videos have now been marked private and aren’t accessible to the general public. That gives me an even fuzzier feeling that it’s Google.